Wouldn’t it be nice to have a second home somewhere in a place you enjoy where you can escape from the craziness of your everyday routine? Most people think that owning a vacation home is completely out of the question, but owning a vacation home is actually more of an attainable goal than you may think. If you are interested in purchasing a vacation home, the following tips can ensure that you make the right decision. Your second home is an investment, and you need to choose the investment that is going to be beneficial for you. This means that you need to think long and hard about where you want your vacation home to be. Do you like to escape to the beach or are wood cabins more of your idea of a retreat? Make sure that your vacation home is somewhere that you want to be at different times of the year. Know what you can afford. Having a vacation home means having a second mortgage, so you need to know exactly what you can afford. Make sure to go through all of your current expenses as well as the expenses you will have with a second home so that you know exactly what you’ll be able to afford. Along with your mortgage, you will still have utility bills at the other home, and you may also need to pay for services like lawn care while you’re away. Purchasing a vacation home should be just like purchasing your primary home. You need to make a list of the items that your vacation home must have, such as a laundry room, beach access or porch. Make sure to give this list to your Realtor so they can help you find the best options, but you also need to make sure that you may not be able to get all of your wish list items within your price range, so be willing to make some sacrifices. If you’re looking to buy a home that is currently available for weekly rentals, rent it out for a week and see how you feel about the home. You may fall in love with it on a viewing, but after your stay, you may realize that it’s too big or too small or just not right for your needs. If you are buying a vacation home in a popular area, consider renting it during the weeks when you’re not using it. 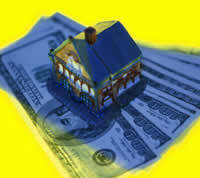 This is a great way to profit off of your home and alleviate some of the costs of owning a second home. When calculating how much you can afford, though, do not consider any money that you would receive from rentals. It’s possible that you will not rent out your home every week, and if you miscalculate, you could end up owing more than you initially thought. Owning a vacation home is a great investment and it allows you to have a getaway any time you want one. By using these tips, you can make the vacation home purchasing process easier on you and make the best and most affordable decision. Julie Myers is a travel agent and avid writer. She enjoys writing about beautiful vacation destinations and great travel deals. Julie recently wrote about her trip to a Bahamas vacation resort.